In collaboration with choreographer Nathan Andary, Jane Wang, Chloe Minnehan, Thomas Mackie and Mobius Artists Group, Steinbockovich [Edward Monovich] will perform “Dadabex: Consequences of Overconsumption and Other Modern Tragedies.” These events are part of dadamobile: a month-long series of dada-inspired, guerrilla performances in Boston and Somerville, Massachusetts. “Dadabex” is a ritualized re-telling of the near extinction of Alpine ibex. 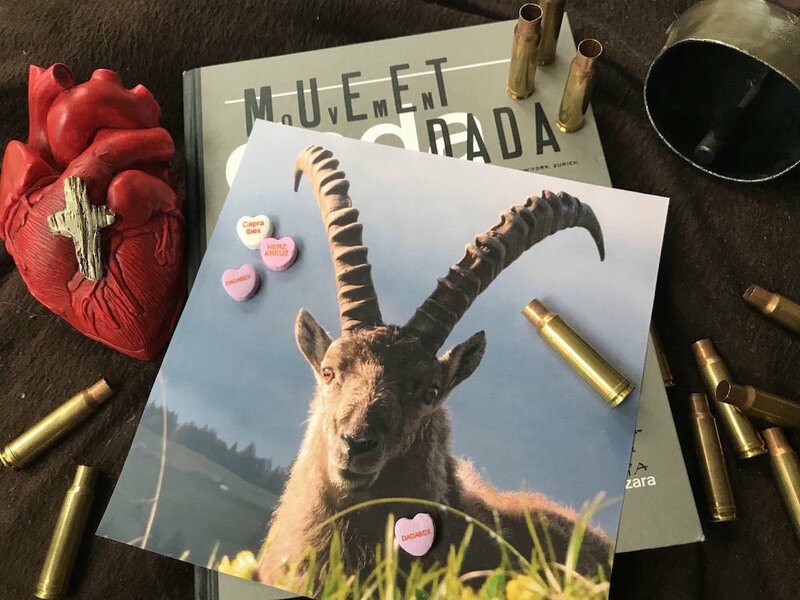 At the center of the experience, “Steinbockovich” (a character based on folkloric and real stories of rare, white Alpine ibex) is hunted, slain and resuscitated. During the performance, reclaimed trophy-heart-amulets catalyze communal transformation and symbolically break cycles of overconsumption, capitalist competition and environmental devastation. In homage to Hugo Ball and the Zürich Dadaists, masked figures chant, birthing new awareness. These incantations, based on population genetics equations, conjure the revolutionary spirit of Dada at a time when the world faces rallying bigotry and balkanization. Through "Dadabex," art and science hybridize and create new pathways.